Why Bob Dylan shouldn’t have gotten the Nobel prize for literature. 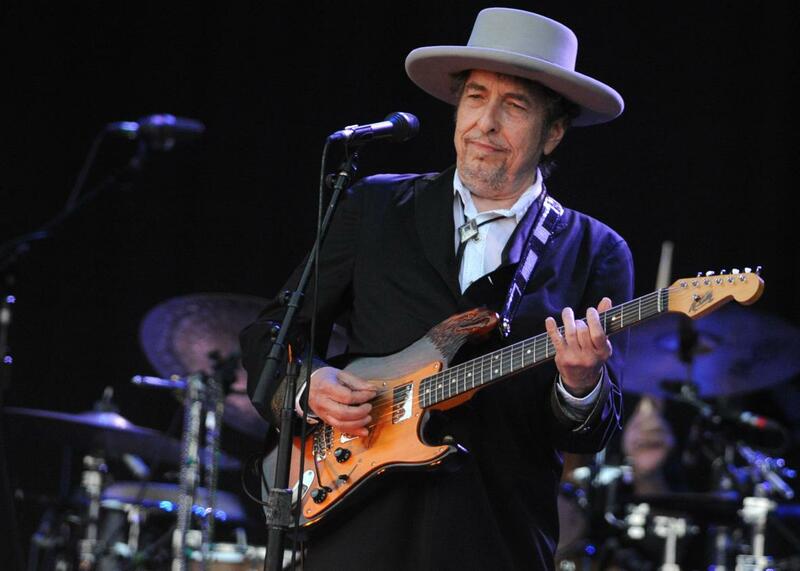 Bob Dylan, winner of the 2016 Nobel Prize in Literature. “Bob Dylan is a fire burning in an otherwise lukewarm, middlebrow, environment,” the fantastical guitar player John Fahey once said, “An inextinguishable conflagration. Bob Dylan is a life. A presence. A radiation point. A sun.” We live in Dylan’s world, now, in a mainstream in which the singer as poet, as auteur, as someone with something to say is taken for granted. It was Dylan, more than anyone, who took Truth from out of the Victorian attic and put it into rock ’n’ roll; put it on the AM radio. More than any individual, I think, he pulled the American mainstream away from its near absolute commitment to a style of middlebrow-po-faced-imperial-parochialrighteousness that helped drag us, among other places, into Vietnam. Forget music, for a moment. Bob Dylan’s contribution to the world is insuperably large; a solar constant, like warmth and light. You need only know that until John Lennon met Bob Dylan, he didn’t believe a pop song could express more than “Love Me Do.” Lennon was seething with words, class resentment, big ideas; but he had to see Dylan, to meet him in the flesh, as Melville once met Hawthorne, to know he could make of his art a functioning correlative to his inner chaos. In the coffee shop where I write these words, they’re playing Bruce Springsteen’s The Ghost of Tom Joad, and this is not only an album, not only a career, but a worldview that wouldn’t exist without Dylan. Is it really such a stretch to close your eyes, butterfly effect it in your head, and imagine a world in which we didn’t get to hip-hop with no Dylan? Nonetheless, Bob Dylan is a musician, not a poet, and to demonstrate it I will now do something cruel. That Egypt’s north was in the dragon’s tail? Be gathered for another cast. In the first example, from Richard Wilbur, my favorite living American poet by far, language must express itself as both thought and music, because, you know, there is no music to propel it otherwise. Wilbur has spent a lifetime refining an ancient practice, of making a hard, seemingly intractable thought dance to the rhythm of his chosen words—and in so doing, in working through the difficult thought, for a moment, the cosmos is placed at our fingertips. In the second, which is from my favorite Bob Dylan song by far, the words are colloquial, spare, painterly, and without the accompanying music, inert. The first is poetry, the second are lyrics. You don’t go to the hardware store for oranges, as they say, and if you want poetry, you don’t go to Bob Dylan. My thinking goes as follows, and who knows, I’m probably wrong. But the distinctive thing about literature is that it involves reading silently to oneself. Silence and solitude are inextricably a part of reading, and reading is the exclusive vehicle for literature. This is historically contingent in every way: Literature as a silent and lonely activity is scarcely older than the printing press. The philosopher Gilbert Ryle once wrote, half teasingly: “It was not until the Middle Ages that people learned to read without reading aloud.” Reading silently, a kind of crossroads is formed. Your voice, on the page, becomes my voice, in my head. In reading, the mind is made separate from the mechanistic and perspicuous world, and a self is formed that is not precisely in or of that world. In reading, you experience that rarest loneliness, a loneliness that reminds you: You exist. If, reading this, you are thinking, “Ha! This is a convenient way of thinking for the least competent among us, isn’t it?” I would wholeheartedly agree, only adding: We pathetic literati have a few days to pretend to world importance. We just lost another.